While the reunion between Sansa and Arya Stark was one we had been waiting for since, IDK, Season 1, their reunion in Season 7 was not one we were necessarily expecting. Yes, the two Stark ladies are finally back together on Game of Thrones, but it’s clear that a lot has changed between them — and not just that Sansa’s a ~Lady~ and Arya’s no one/an assassin/got a long list of people she wants to kill. Later, Arya realized that something’s amiss when it comes to Littlefinger, and found a very incriminating note stuffed into his mattress — one that Sansa wrote back in Season 1, basically telling Catelyn Stark that their dad was a traitor. What Arya doesn’t know is that Sansa was forced to write this, but it still might be enough to drive a wedge between the two. Now, with these new pictures, it’s clear that something’s going on between them. 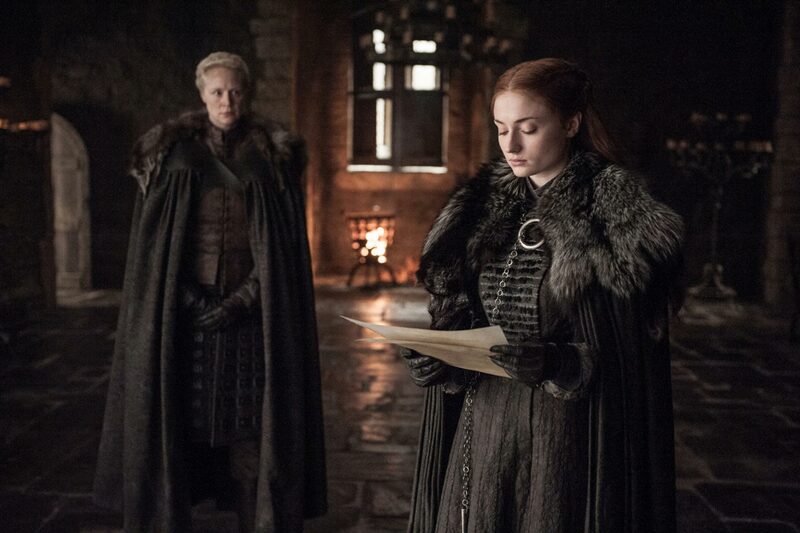 One of the new images shows us Sansa, reading some sort of parchment, while Brienne looks on in the background. Sansa does not look happy. She looks worried, like her control of Winterfell is slowly slipping away. That’s not all. 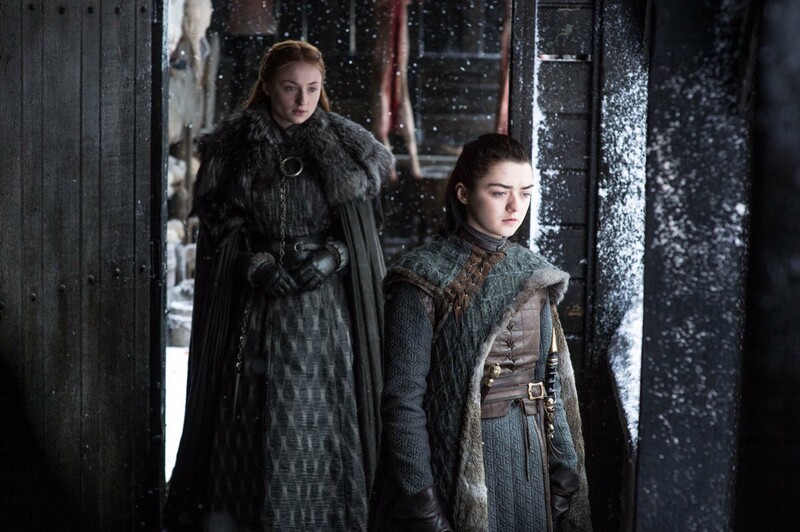 There’s another image showing Sansa and Arya together, and it’s CLEAR that words have just been exchanged between the two of them. Did Arya confront Sansa about the letter? Is Sansa finally voicing her concerns over Arya being a badass murderer? Most importantly: WHAT CORNER IS LITTLEFINGER AWKWARDLY CREEPING BEHIND, SO HE CAN OVERHEAR EVERYTHING? We’ll find out exactly what’s going on between Sansa and Arya when Game of Thrones returns for its penultimate episode of the season on Sunday.